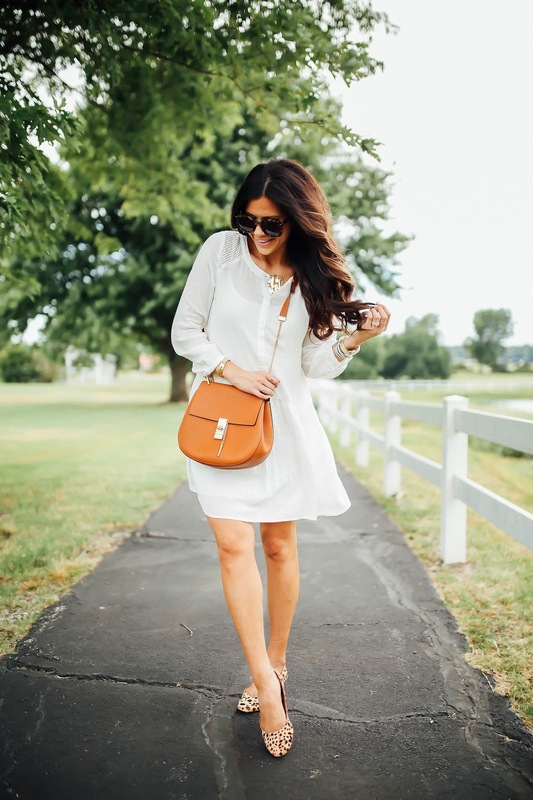 Simple LWD You’ll Wear Now Through Fall.. I ordered this dress online from the Nordstrom Anniversary Sale & wore it to church on Sunday morning. I was wearing it in some of my snaps on Snapchat & got one question after another asking where it was from.. I can totally see why too – it’s so simple, but has a little bit of flare.. literally haha. I purchased it thinking I would wear it when the temps let up and pair it w/booties or even riding boots. And as the weather really cools off, I can picture it with a faux fur vest & over-the-knee boots! 🙂 Clearly, I’m really, really anxious for fall – I’ve never been a summer girl though. Also, really quick – my leopard flats are like $43?! Seriously a steal! They are dupe for THESE Chloe ones & I’ve tried on both and ended up choosing the cheaper alternatives. Such a cute dress! I love the detailing on the back too! I absolutely love your outfit! That dress is so gorgeous – it would be a perfect piece almost year round! Thank you for sharing! Such a pretty LWD. I definitely can see how this dress can be worn in the Fall! 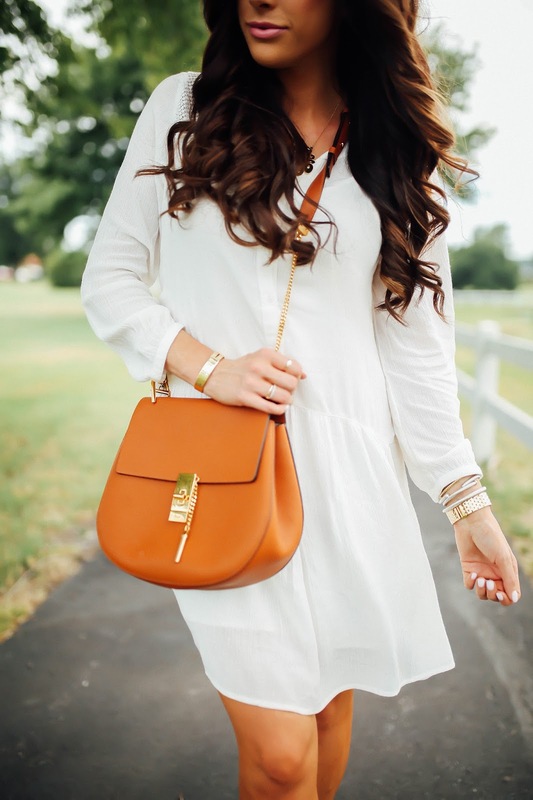 Such a pretty LWD! Love how you styled it. 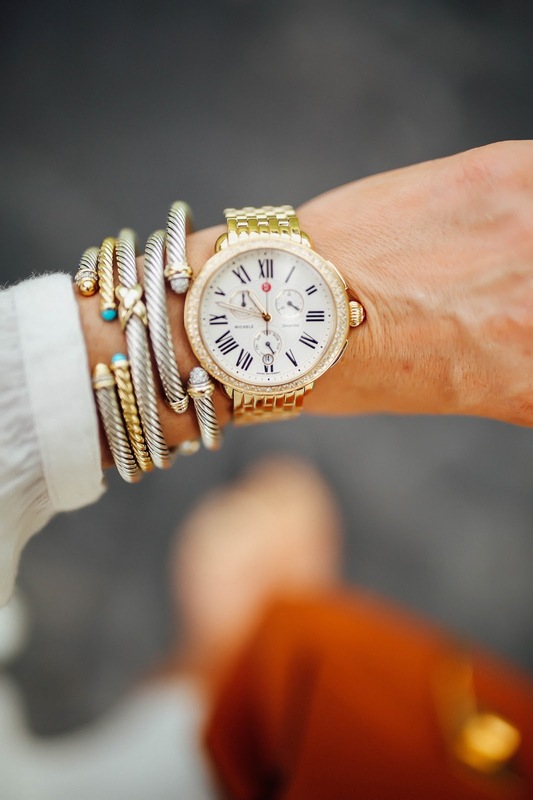 It looks very chic and easy to wear to different things and occasions! Can never go wrong with white & leopard- gorgeous as always!! Cute dress! They would look great with a pair of boots for fall! Beautiful photos. Love your bag. Thank you! I tend to carry this bag so much! yes!! That’s what I am thinking! Hi! I saw on one your recent snaps that you are bored while your husband is at work. I just wanted to let you know that the Children's Hospital at Saint Francis here in Tulsa has numerous volunteer opportunities, some of which require maybe as little as an hour a week of someone's time. I know they need baby cuddlers (yes, it's seriously the best thing ever) and help with flower deliveries. I've volunteered there the last two years and it is very worthwhile! Have you also thought about helping out at a local animal shelter? It's very clear you adore your dog so maybe walking other dogs in need of homes would help kill time while your husband is away? There's also so many other nonprofits in Tulsa that need volunteers like Catholic Charities, The Pencil Box, YMCA or the YWCA, Tulsa Public Library, The Resonance House, etc. Just offering the ideas up to you! It would be great to see you highlight how you're enjoying Tulsa and making a positive impact within your community! Cute dress!! BTW love your hair! Such a cute dress, Emily! I was wondering where it was too, but knew you'd post about it, haha! About those flats, do they have any cushion in them? If so, I'm nabbing them! P.S. I saw your snaps yesterday. Fitz is so cute trying to open the door and then just stares at you, haha! I am going to order this dress today! I love it! You always look amazing girl! I NEED the monogram!!! Is yours the 3X on the 16" chain? Thanks!! !